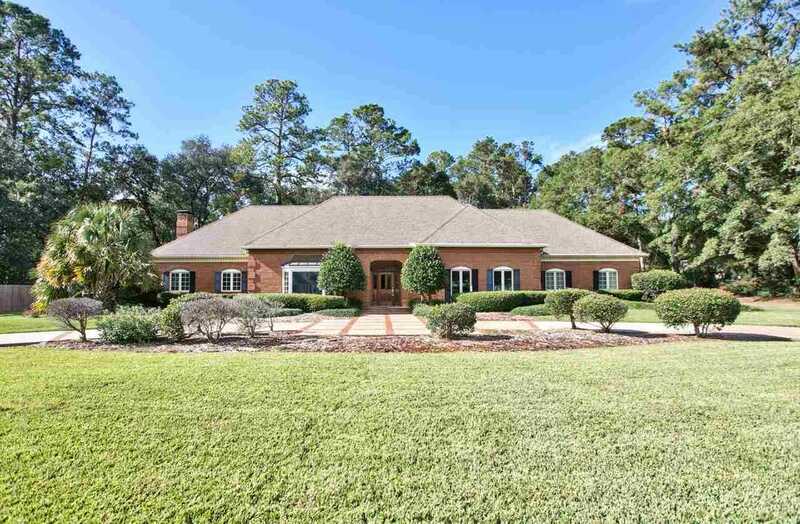 Stately all brick custom home on large, private lot in Highgrove. This home has so much potential for someone who is willing to do some cosmetic updates to make it their own. Some of the timeless features include beautiful wood floors, several wood burning fireplaces, and tongue and groove wood ceiling details in family room. The floor plan offers large, spacious rooms, four bedrooms on the main floor including owner's suite, two bedrooms and a bonus room upstairs, and an open kitchen. Outside you'll find a fenced pool area with large concrete pool. This home is vacant and ready for new owners! Proposed interior modification possibilities. Directions:N. on Thomasville Road. L onto Highgrove Road. Home is approx. 8 miles down on the right. SchoolsClick map icons below to view information for schools near 4775 Highgrove Road Tallahassee, FL 32309.